A post-wedding walk on the beach at Sandestin Golf and Beach Resort. 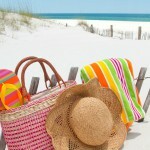 The popular Destin resort offers full-service wedding planning. 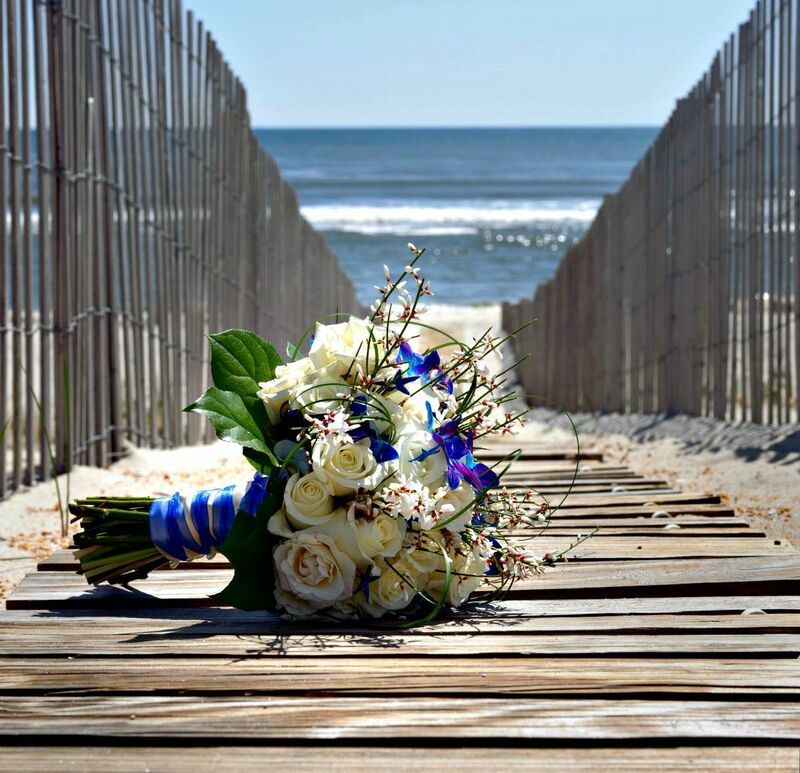 Both romantic and practical, beach weddings are popular with busy couples who want their big day to stand out from the crowd. And the white sands and emerald waters of the Gulf of Mexico form a dramatic backdrop that’s guaranteed to make your wedding memorable. 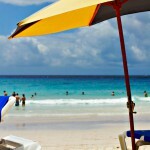 Other attractive Gulf Coast venues include lush tropical gardens, elegant resorts, and quiet bed-and-breakfast inns. 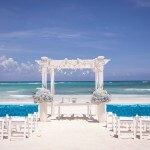 You’ll find more about spots that specialize in wedding bells by clicking on our links at BeachGuide.com/Beach-Weddings. Many of our vacation rental properties offer special package deals that include lodging for you and your guests, plus on-site wedding planners and lists of preferred caterers, florists, and other vendors to make your choices easier. To help take the pain out of planning one of the biggest events of your life, we’ve also put together a comprehensive month-by-month checklist of things to do and when to do them — because the secret to pulling off the perfect beach wedding, be it big or small, is to pay attention to the details! — Start a wedding folder or binder, and create a Pinterest board to collect ideas for colors, food, fashions, etc. Also start researching photographers, bands, florists, and caterers. Put their contact information in your binder and examples of their work on Pinterest. — Choose your venue (beach, resort, bed and breakfast, garden, etc. ), and reserve a date and time (For a wedding on the beach or at another outdoor venue, make sure there’s a backup spot in case bad weather forces you to move the party indoors). — Pick your wedding party. — Start the guest list. — Hire a wedding planner (optional). — Block out rooms or arrange other lodging for wedding guests. — Throw an engagement party (optional). — Hire the caterer (unless your wedding venue offers its own catering service). 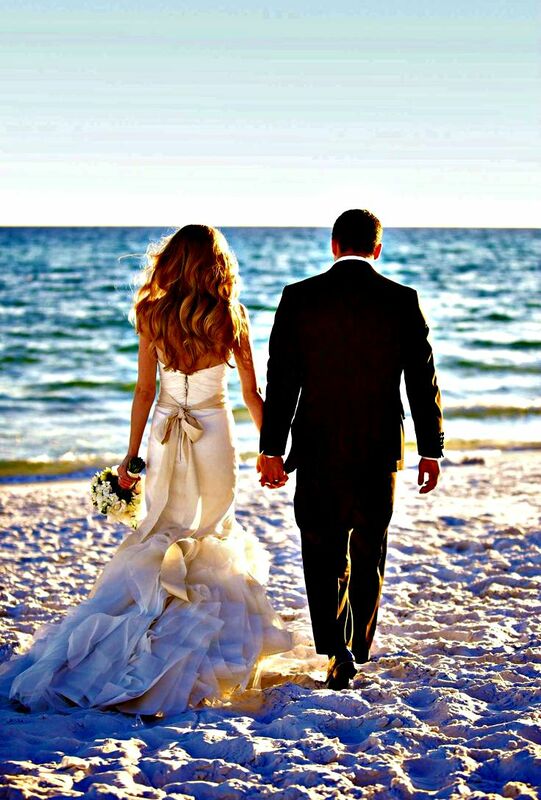 — Choose and order your gown ( preferably light-weight and comfortable for a beach wedding). — Register with retailers (at least three). — Choose and buy invitations, and, if desired, hire a calligrapher to address them. — Shop for bridesmaids’ dresses (so there’s plenty of time to order and size them). — Meet with the officiant to discuss the ceremony and ensure that you have all the official wedding documents (these will vary by county and religion). — Start planning the honeymoon (and make sure your passports are up to date, if you’re traveling out of the country). — Book wedding transportation (limos, minibuses, town cars, trolleys, etc.). — Shop for wedding rings. —Take dancing lessons with your fiance (only if the two of you need them, of course!). — Buy wedding shoes and other accessories and start dress fittings. — Schedule hair and makeup artists. — Finalize the menu and flowers. — Finalize the order of the ceremony and reception. — Order favors, if desired. — Buy gifts for your bridal party. — Send your finalized event schedule to your vendors. — Meet with the photographer to discuss specific shots and find locations that appeal to you. — Submit a wedding announcement to the newspaper. — Write (or customize) your vows. — Finalize ceremony details with the officiant. — Coordinate date of your bachelorette party with the Maid of Honor. — Get your marriage license (generally takes five or six days, but it’s better to allow plenty of time). — Choose your something old, new, and blue, and select your wedding jewelry. — Break in your wedding shoes. — Review RSVPs and phone people who have not responded. — Mail rehearsal dinner invitations. — Visit dressmaker for final wedding dress fitting. — Stock the bar (now that you have a firm head count). — Get your hair cut and colored. — Confirm times for hair, makeup, and all vendors. — Review photo list with photographer. — Contact vendors again to verify arrival times. — Check on one final time with the photographer. — Pick up your dress. 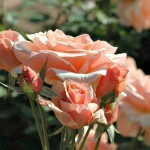 — Delegate tasks such as carrying your things, handing out tips, being in charge of gifts, etc. — Write checks for the vendors and put tips in envelopes ready to be handed out. — Send the final guest list to the caterer and other vendors. — Schedule a manicure and pedicure (for the day before the wedding) and, if you like, a massage to relax you and relieve stress. — Rehearse the ceremony with the officiant and the bridal party. — Enjoy the rehearsal dinner. — Exchange gifts with your fiance. — Relax and enjoy the day!